Jim Cramer of CNBC's "Mad Money" is apparently at it again, rewriting history as the video prepared by Don Harrold illustrates that Jim Cramer is now starting to perpetuate a myth that he called the Stock Market bottom at Dow 6,500 after the earlier myth of telling investors to sell at Dow 11,000. 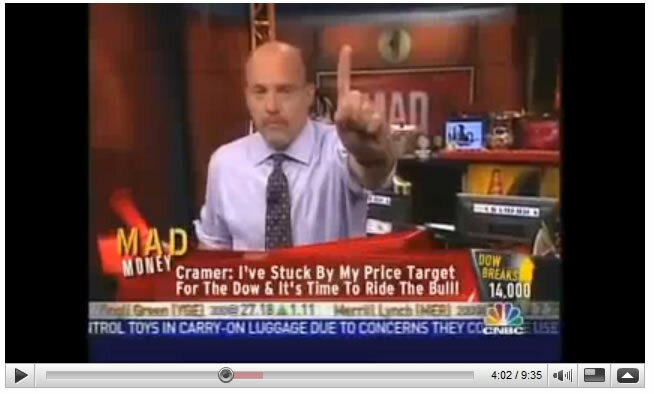 Jim Cramer - 1st June 2009 - "Time to buy at Dow 6,500". 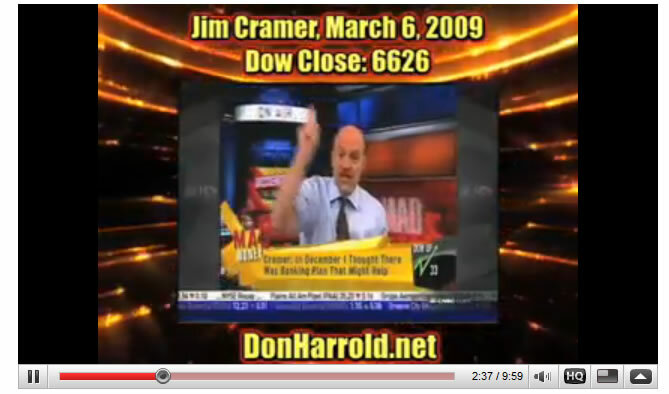 Watch what Jim Cramer actually said at Dow 6,500 on 6th and 9th of March 2009, and you will find bearish commentary and even a forecast that the Dow could go below 5320. He Has No Idea, NO IDEA, of how Bad his Market Calls are" - Continuing on from ( Why Watching CNBC Could Destroy Your Portfolio) in the deconstruction of CNBC talking bobble heads repeatedly bullish market calls whilst the stocks bear market continued to rage, that continued to destroy the value of CNBC viewers portfolios. This article focus's CNBC's chief stock picking guru, Jim Cramer's market calls against actual outcomes which will hopefully prevent the further destruction of portfolio values. Jon Stewart recently joined in, in attempting to hold Jim Cramer and CNBC to account for what passes for financial journalism that has led the millions of investors who watch CNBC into near total portfolio wipeout. 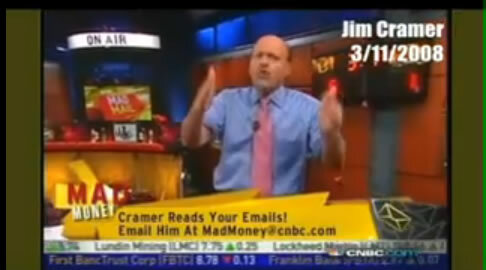 Cramer doesn't say he called the bottom ON HIS SHOW, he says he told a woman in a bagel shop, some guy at a gas station, and some guy parking his car that it was the bottom! Now to refute him, you need to find these people! 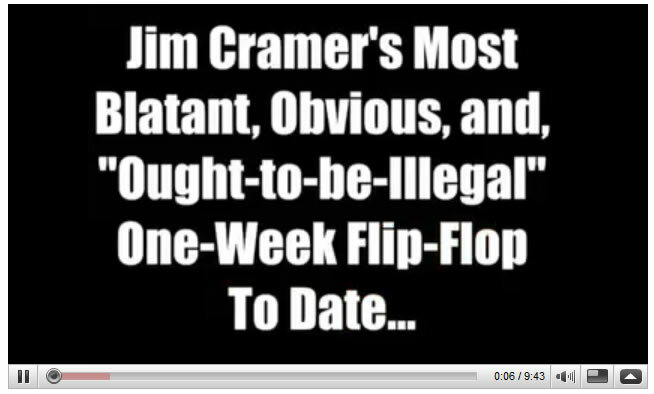 Jim Cramer is an idiot, anyone who listens to his advice deserves to lose everything! 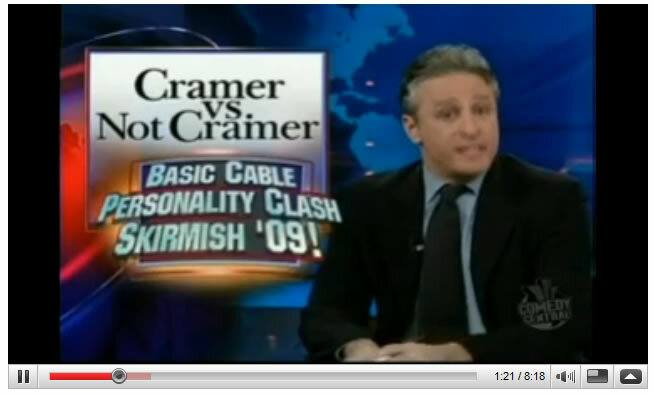 Please leave Jim Cramer alone. By highlighting his egregious nature and calls you are in danger of destroying one of THE BEST contrary indicators we have. Just do the exact opposite of what Jim or the MSM says and you will make money. So please, go pick on someone else and leave Jim alone. His calls are the best warning signs a trader can get. As to the public, they are sheep and won't listen to you anyway. Don Harrold is no different than Jim Cramer, he's just on opposite sides of the radical spectrum. Both of them missed greatly the turn up on March 9 and the subsequent "bear market rally" that followed up until this very day. The only difference between Jim Cramer and Don is that Jim Cramer will at least listen to his critics, Don will just chastise and ban them like all good dictators do. People in Communist China can speak more freely than Dons customers. Don makes his money through XXXXXXXXXXXXXXXXXXXXXXXXX (www.doublingstocks.com, just google it and see what comes up) and pyramid style XXXXXXX XXXXX. Don is not your friend. If you're thinking of joining him, you're better off going to the tunnel at 42nd street and 8th avenue and manhattan and paying people to scream in your face, you'll lose less money and at least you'll know what you're in for.